Op-Ed Editorial Yom Kippur Shehecheyanu: Time to Celebrate! 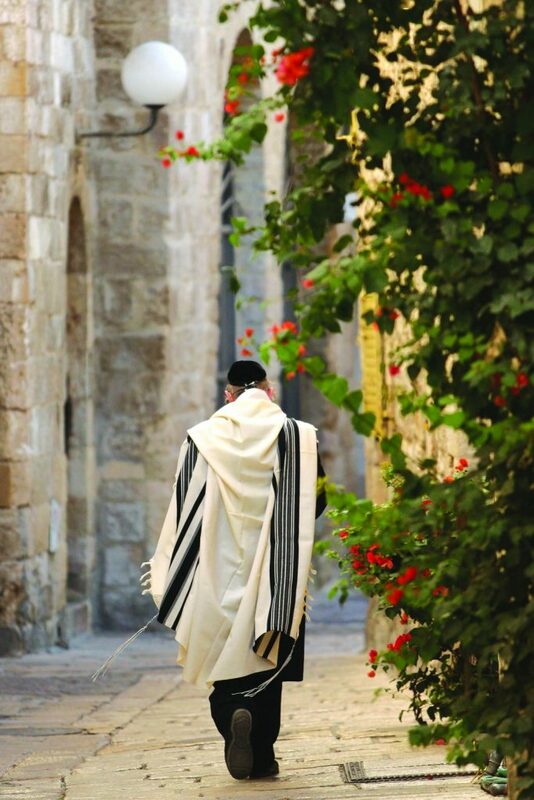 Yom Kippur Shehecheyanu: Time to Celebrate! As with every Yom Tov, we usher in the sanctity of Yom Kippur with the brachah of Shehecheyanu. Just as we rejoice with the advent of Sukkos or Pesach, so, too, do we rejoice with the arrival of the Day of Atonement. On this day, we indicate our eager anticipation by proclaiming our gratitude to Hashem Who has kept us alive, sustained us and brought us to this time, as the brachah says. Yet, we cannot help feeling that Shehecheyanu still feels somewhat out of place on Yom Kippur. It is a brachah that we largely associate with the mitzvah of simchas Yom Tov, the expressions of which — namely, festive seudos with meat and wine — are obviously absent. Despite the simchah that we know is to be found in a day of unique closeness to Hashem and in achieving atonement for our sins, the fact is that we do not “celebrate” Yom Kippur in the traditional sense of the word. It is a day on which the air in Jewish homes and shuls is permeated by a sense of eimas hadin, solemnity, and trepidation of what the close of the days of judgment and mercy could mean for us. How then are we expected to relate to the brachah of Shehecheyanu and the inner simchah that it represents? The Yalkut Maamarim provides what might be the answer to our question by means of a mashal: There was a certain businessman who toiled day and night at his profession without any accounting department to track the state of his affairs. Officially, he was his own bookkeeper, but in reality no record of the balance between his profits and expenses was being kept at all. Neither he nor anyone else had any idea as to the financial condition of his business, or knew whether it was profitable or running at a deficit. His family and friends begged him to audit his affairs, and warned that unless he did so, he was on a sure path to financial ruin and the loss of all he had worked so hard for. Yet, he adamantly refused to spend a moment gathering and recording his accounts, saying repeatedly that he was simply too overwhelmed by his responsibilities in running the business on a day-to-day basis to spare any time for bookkeeping. Realizing the gravity of the situation, those close to him took matters into their own hands. They temporarily closed the business to gather his scattered invoices, transactions, receipts and bills, in order to make a thorough accounting of the situation. The results were as they feared; they were left with no choice but to present to him in black-and-white terms that his business was indeed failing. The businessman was crushed by these facts, from which he could no longer hide. He buried his head in his hands and began to weep, overwhelmed by the daunting task of digging himself out from the mess he was in, feeling that his life was now ruined. Our own ruchniyus, our spiritual state of affairs, too often mirrors the financial woes of the Yalkut’s hapless businessman, because we, too, lack spiritual “fiscal” awareness. During the course of the year, we are constantly involved and often overwhelmed by the toil and effort needed to earn a living and tend to our family responsibilities, and in a certain sense we are overwhelmed even by our daily commitments to learn Torah, daven, and do mitzvos. We simply feel too busy to stop and make a reckoning of whether the “business” of our avodas Hashem is solvent or not. But every so often, something happens to us, or a time of year arrives, when we hear an inner voice announcing that the time has come to make an accounting of our priorities and interests. An honest cheshbon hanefesh, an inventory of our soul, its needs and the direction it is heading toward is in order. But we are too busy living to even contemplate the degree to which spiritual decay is eating us alive from within as our neshamos pine for more Torah and mitzvos, and for a more real connection to Hakadosh Baruch Hu. Then comes the awesome day of Yom Kippur — achas b’shanah — one day of the year dedicated totally to ruchniyus. The lack of distractions and the holiness of the day wake us from our slumber and force each of us to “close our businesses” and to separate ourselves from all that shackles us to the physical world. We are left with no choice but to sit and pore over the eternal spreadsheet of our lives. The machzor gives us guidelines to review the many deficits and debts that we are running which hold back our valiant efforts to achieve profitability. Each item of the al chet in the viduy section of our tefillos reminds us of yet another area in which vital funds are hemorrhaging from our true enterprise. The Torah refers to Yom Kippur as Shabbos Shabbason, the Sabbath of all Sabbaths, a day of complete rest. Just as an artist contemplating his budding masterpiece must step back from painting the canvas for a moment to contemplate how his work is progressing, we, too, must take an absolute pause from our lives and reflect on the brushstrokes of the past year. We meditate carefully and prepare the next steps of the painting that will one day come together to be the picture of our time in this world. Without such pause, that which we hope would be our masterpiece will lack direction and focus. We must use this remarkable time in order to change direction and possibly engage in the often painful task of erasing certain strokes we have come to regret. Yom Kippur is a day when one can objectively determine those negative flaws and destructive middos that offend and hurt both our connection to Hashem as well as to our fellow man. To plan effectively for the future, we desperately need this 25-hour break from our routines — and even from physicality itself — to evaluate each of our thoughts and actions and plan for a more profitable year to come. None of this is an easy process. But amidst the difficult soul-searching and inner bitterness that it awakens lies a deep and very real simchah that, although our affairs might be in dire straits, with teshuvah and Hashem’s mercy, there is hope that our best days are yet to come. Regardless of how many or how great are the challenges that we face, we are back in business, ready to focus on our spiritual goals and admissions, and ready to fully utilize all our resources to achieve success. Baruch Hashem, Yom Kippur is upon us, and with that simchah we can all make a heartfelt brachah of Shehecheyanu.